The best PrestaShop hosting for a perfect online store! Fastdot is the perfect host if you have decided to use the latest PrestaShop shopping cart version. We provide free PrestaShop installation, powerful servers, high quality customer service and great hosting features! We combine specific PrestaShop knowledge with profound hosting expertise for a true PrestaShop hosting solution! 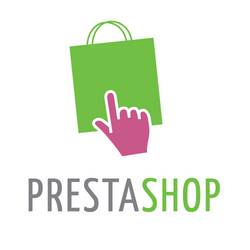 PrestaShop consists of 70 developers, designers, and professional e-commerce addicts. Headquartered in Paris and Miami, PrestaShop are a leader in everything e-commerce and are committed to staying free and Open-source. As most developers know, inspiration begins with the customers. Each merchant and community member carries out projects large and small that contribute to not only their personal growth, but also the growth of PrestaShop. PrestaShop continue to work hand-in-hand with the community and are passionate about creating features, modules, and templates according to their needs. The success of our software is thanks to countless hours by numerous contributors from around the world. Prestashop want to make sure every merchant is successful and in the process they ensure it is easy to sell online by providing over 310 features and an overall software that can be customized to each business’ needs.